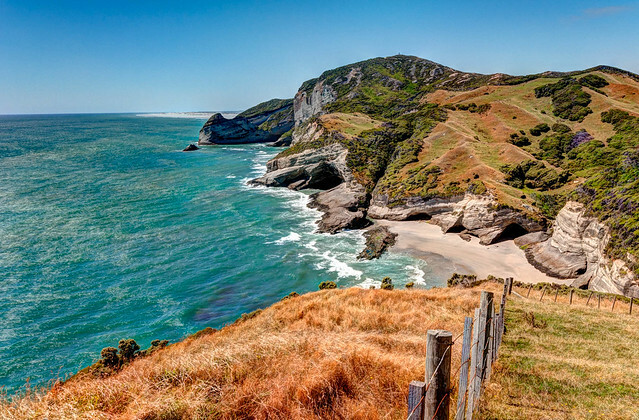 We have heard New Zealand referred to as “paradise” so we arrived with some pretty high expectations. So high that I was a bit concerned that we would be disappointed. 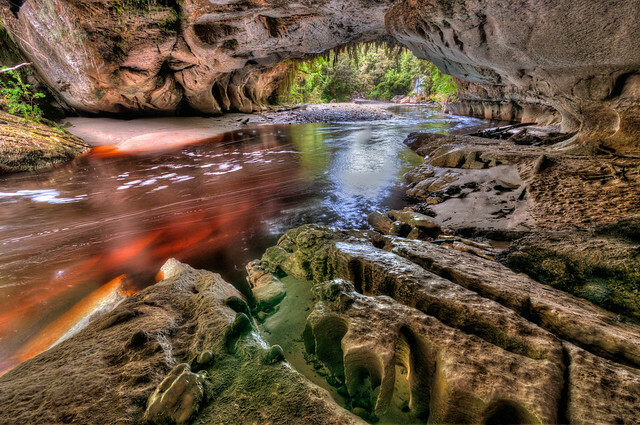 After all, we have been extremely fortunate and have seen so much scenic beauty in our lifetimes. 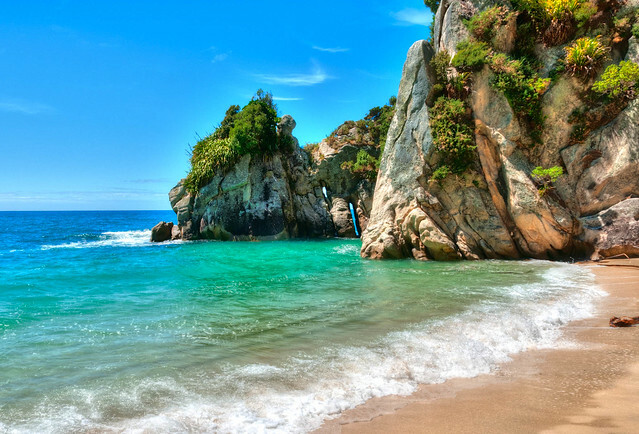 Especially in the past two years of traveling that provided opportunities to see spectacular mountains, gorgeous lakes, lovely forests, beautiful waterfalls and dramatic coasts. I have wondered if we could have become jaded to natural beauty. While much of what we have seen in New Zealand is familiar at the same time in many ways it is very different, more exotic and wilder. 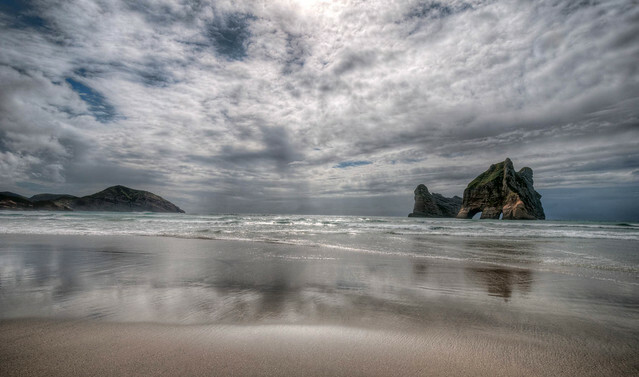 So I am comfortable saying that New Zealand IS paradise…and an added bonus is that the "natives" are very friendly. We saw so much during the three and a half weeks that we spent on the North Island but we really looked forward to seeing what the South Island had to offer. 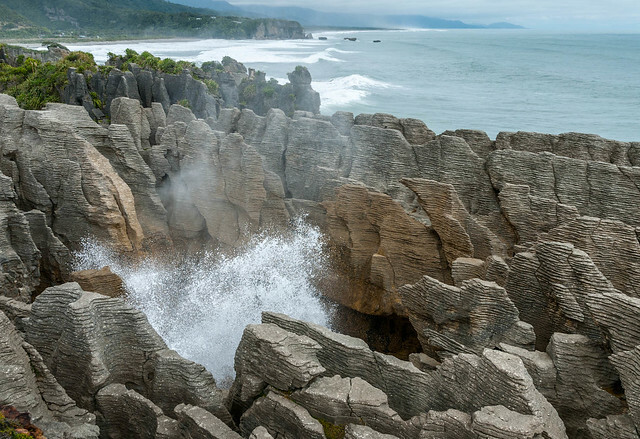 We once again relied on one of Scott Cook’s excellent guides, NZ Frenzy: New Zealand South Island, which helps visitors to find "all the must-see places plus non-touristy hidden wonders". All of our New Zealand Great Walk photos as well as photos of other New Zealand sights are available on Flickr. 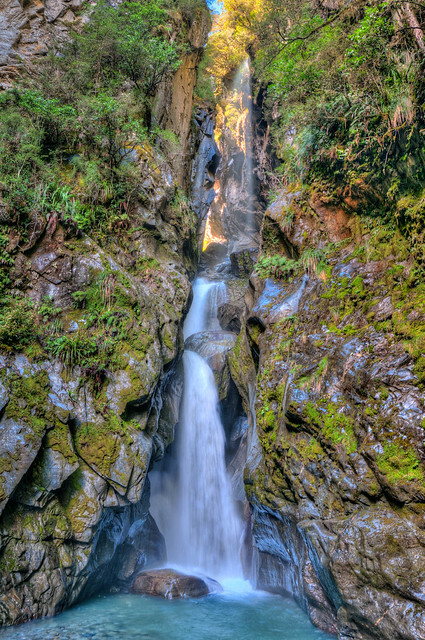 … and “Surprise Falls”, which hides in a side canyon downstream from the easily seen Fantail Falls. 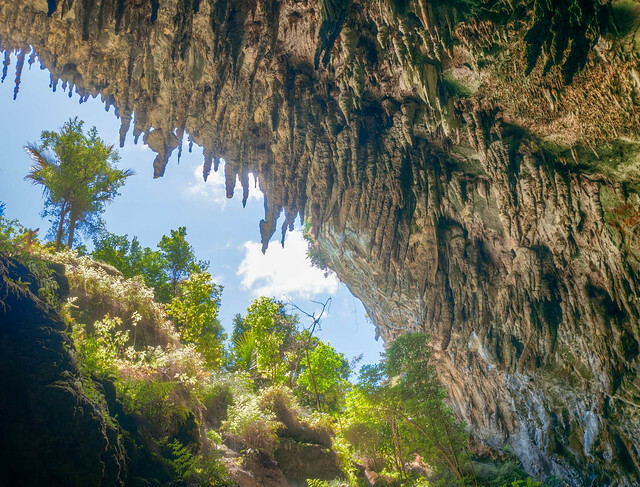 … and the bizarre formations of Rawhiti Cave. 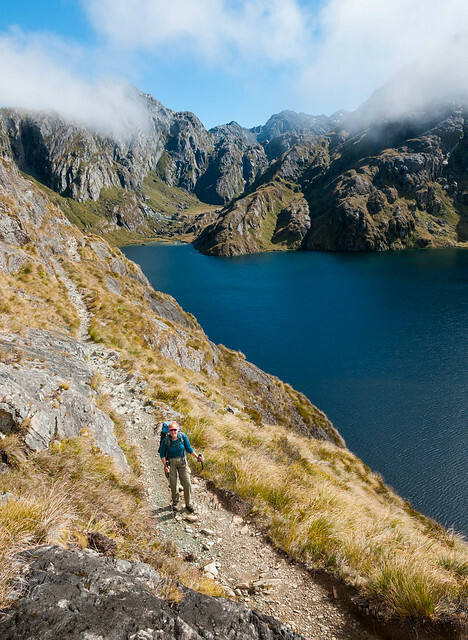 However, we knew that the focus of our time on New Zealand’s South Island would be doing six of New Zealand's “Great Walks”. We have already done the Tongariro Northern Circuit in Tongariro National Park while on the North Island and if interested you can read about our experience as well as see the photos. 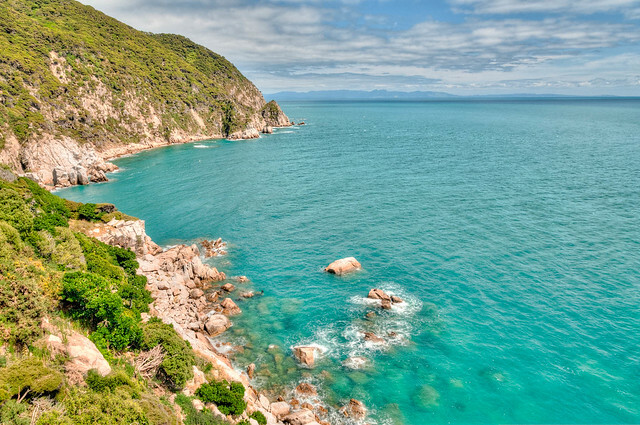 Our first Great Walk on the South Island was the Abel Tasman Coastal Track in Abel Tasman National Park. This track is not a loop but the DOC (Department of Conservation) brochure lists several transportation options including traveling by air, bus and boat. We had Aqua Taxi transport us from Marahau to Mutton Cove. After getting off the boat we did the short side trail to Separation Point which separates Golden Bay from Tasman Bay. … and sometimes the track took us through forest dense enough we almost forgot we were near the coast. And just like other coastal hikes it was essential for us to consult a tide chart as there are portions of the track that cross estuaries. 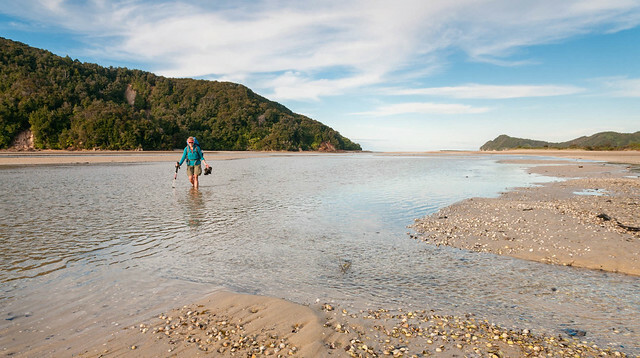 Two, the Onetahuti estuary and the Awaroa Inlet, can only be crossed within a specific time period around low tide. But just because the tide is low doesn't mean your feet don't get wet. 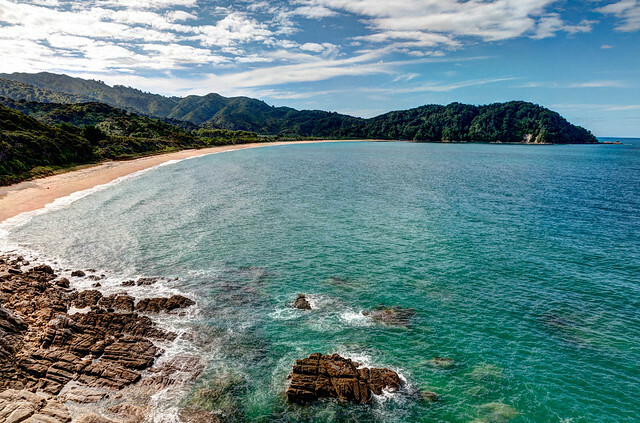 Access is easy by boat to any number of spots along the Abel Tasman track and it is a popular track for day hiking and kayaking. As a result there seemed to be more people than on other tracks. 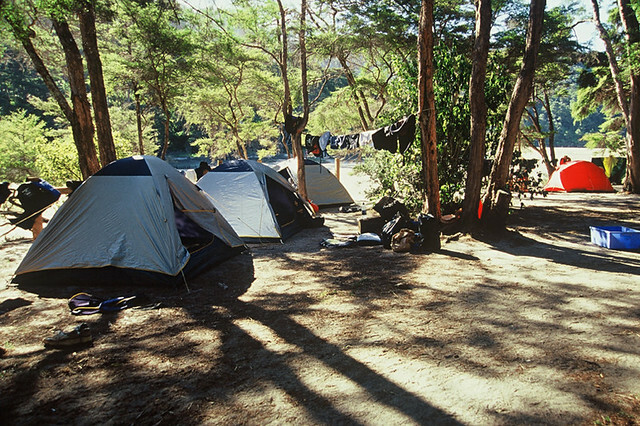 On our first night we were dismayed by how cramped and crowded the Awaroa Campground was. Although it was entertaining to hear a young French woman in a nearby tent explaining her “relationship issues”, which were apparently complicated by her “sensual nature”, to a fellow she had recently met. However, our second night at the Anchorage Bay campground was great. The camping area is more spread out and most campers had their tents clustered near the cooking shelter. We were happy to find find a spot in the trees well away from anyone else so we could listen to the waves instead of hearing about “relationship issues”. Although I admit I was curious about what that girl’s “sensual nature” was up to. Doing the Abel Tasman Track also provided us with an educational introduction to a common native species - sand flies. What New Zealand lacks in things that want to kill you; mountain lions, bears, snakes, etc, it makes up for with sand flies. Anytime we sat down to rest, eat lunch or enjoy the view we did not have to worry about being tempted to sit there too long. The presence of those small but incredibly voracious insects made the decision to get going again very easy. We were lucky to have had great weather for the first two days of our trip. Given New Zealand's commonly wet weather it was not surprisingly it deteriorated on our last day However, it occurred on what we thought was the least scenic part of the track so we had no complaints. All of our Abel Tasman Track Photos are on Flickr. 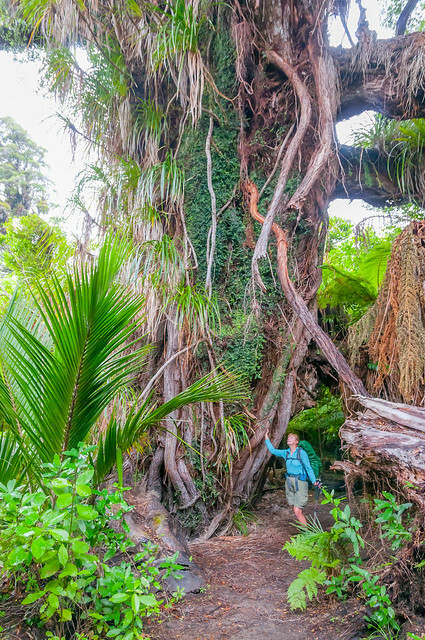 The next Great Walk on our list was the Heaphy Track within Kahurangi National Park. We realized we had miscalculated by not monitoring the weather forecast. The period of fine weather we had been enjoying while seeing other sights was coming to an end. 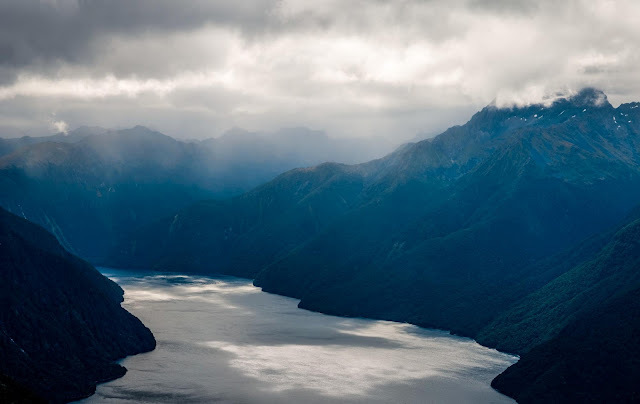 However, as we were anxious to head south to Fiordland National Park, we weren’t willing to devote more time and wait for an improved forecast. 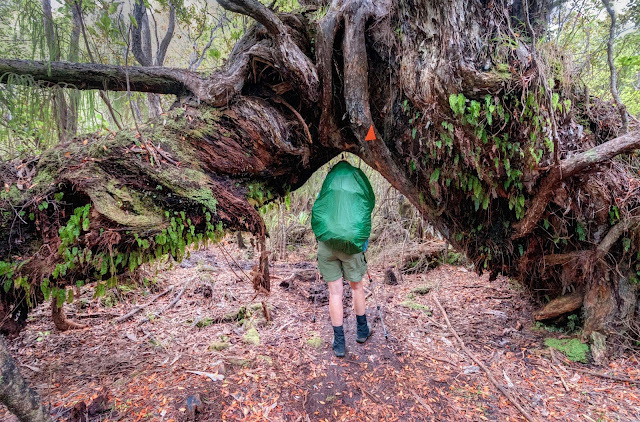 Our choice was either we do the Heaphy Track in the rain or we don’t do it at all. So we decided to do it in the rain. We had planned to camp in our tent on this track however the campground at Perry Saddle was closed as a new hut was being built in its place. The remaining campgrounds are not well positioned for the number of days we wanted to do this track. That fact combined with the impending wet weather encouraged us to leave our tent behind and rely on the huts for shelter. This track is also not a loop but again there are options for getting the long way back to where you started. We considered taking the bus, a six hour trip, but decided it was worth paying a bit more (about $30 apiece) for a fun and scenic flight. 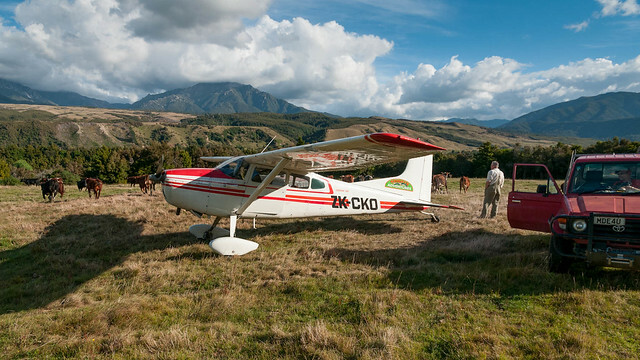 We had Jim of Remote Adventures fly us from Karamea to the trailhead at Brown Hut . 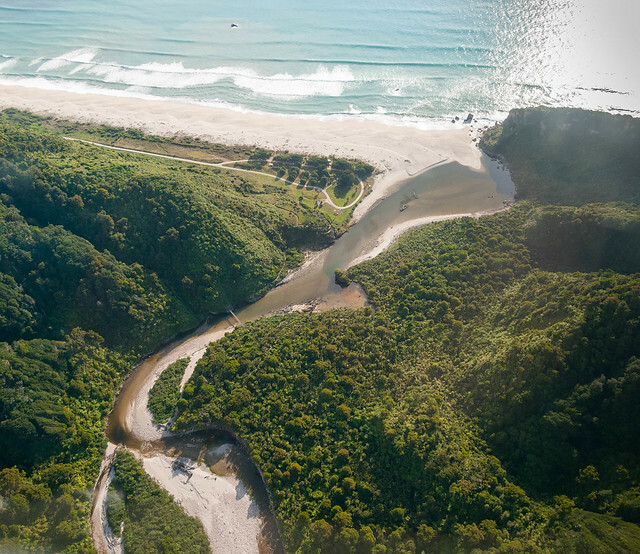 The 25 minute flight followed the Heaphy Track and we were treated to what would be our best views of the track. …at the "Cow Pasture Airport" a friend of Jim’s drove us the short distance to the trailhead. 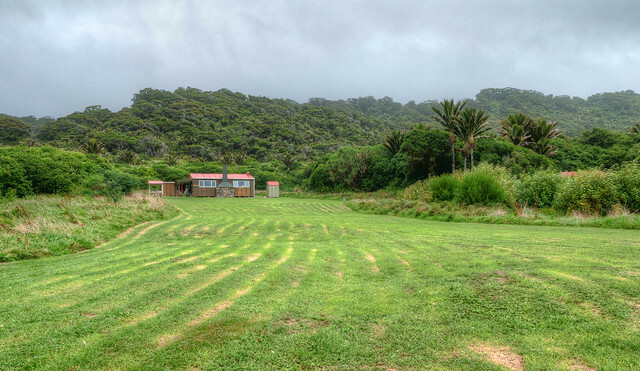 As the weather was deteriorating we needed to fly in the evening prior to our starting the Heaphy Track so we spent the night in the Brown Hut. We had it completely to ourselves…until we were startled in the night by eerie flashing lights but it was only the headlamps belonging to four late arrivals. The next day we ascended the track through the woods stopping at the only viewpoint on the way. 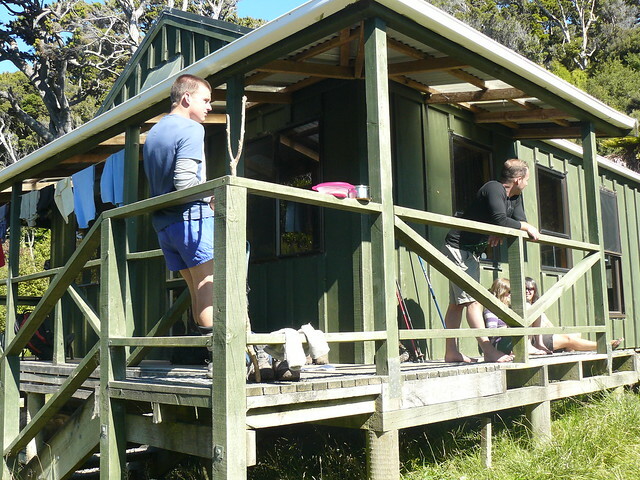 Once we arrived at the Perry Saddle Hut we had planned to climb the nearby Mt Perry. However, we got talking to some other trampers and squandered what remained of our dry weather. The rain started that afternoon and continued through the night as well as the entire the next day. The next morning we began to question the wisdom of doing this track in the rain. However this experience provided us with an invaluable education in the Kiwi attitude toward getting wet. As we prepared to leave for the next hut the DOC Hut Warden told us a bit about the portion of the track across the Gouland and Mackay Downs that we would encounter later that day. She casually recalled a time when the water had been chest deep but that it was “no problem because the water was clear enough to see the boardwalk below and the current wasn’t too strong”. With that happy thought we set out into the pouring rain. The track descends from Perry Saddle to cross the tussock covered downs past the Saxon Hut (where we took a lunch break out of the rain) toward the Mackay Hut, our destination for the day. Not that we saw much of it. We tried to visualize what we had seen from the air two days before. Jim told us all about the Heaphy Track below...too bad we couldn't hear most of what he said. As we approached the Mackay Downs we encountered a deep stream. We naively stopped and put on our water shoes, in an effort to keep our socks relatively dry, and rolled up our rain pants. Not long after we decided it was safe to put our socks and boots back on we discovered that the numerous small streams crossing the downs had swelled and merged. We finally understood the futility of keeping anything dry in such conditions so we sloshed through the water flowing over the track feeling lucky that it never went above our knees. Our mistake was not getting an earlier start as we later learned that those who did had avoided wading all together. On the other hand, those who left after we did encountered water that was even deeper but lucky for them it was only crotch deep, still preferable to chest deep. The next day started out drizzly but eventually cleared and we had mostly dry weather for the remainder of or trip. The track descends form Mackay Downs through forest until it crosses both the Heaphy and Lewis Rivers. Being from the US Pacific Northwest we are accustomed to seeing water stained to the color of tea by tannins leaching from evergreen trees.. 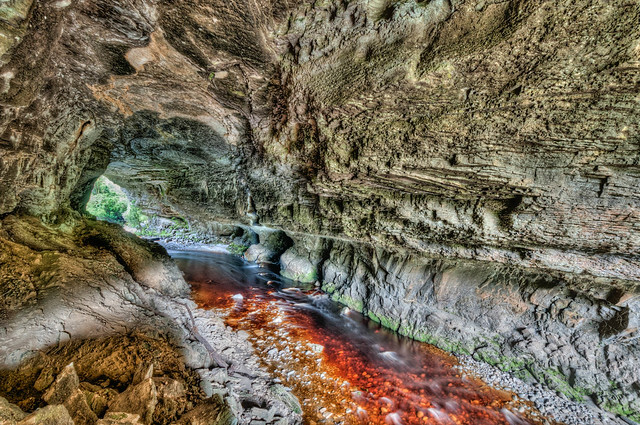 However, the water in these creeks and rivers is stained to such a rich dark brown that it resembles Root Beer. 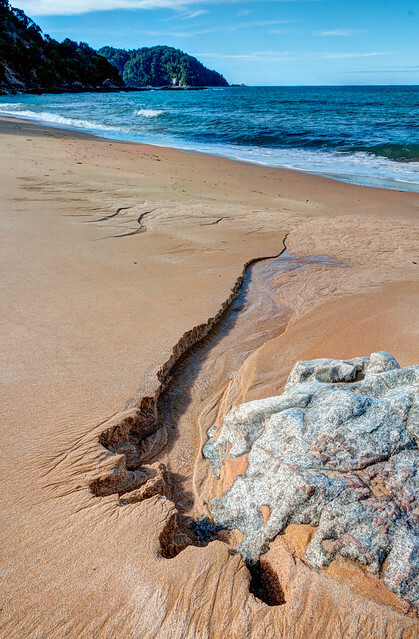 We are also accustomed to seeing creeks and rivers spread out on beaches before calmly flowing into to the ocean. 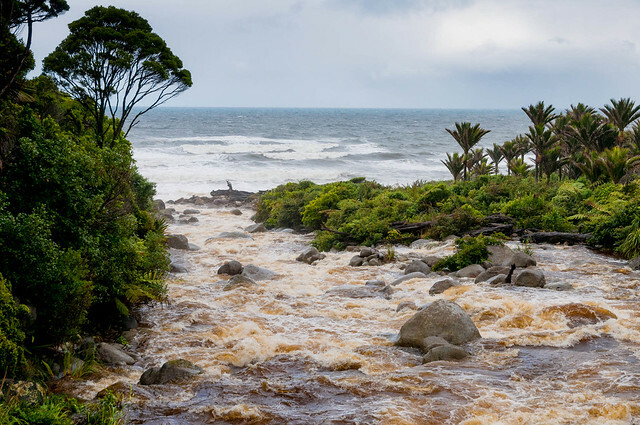 But here the creeks, boosted by the recent rainfall, rushed through narrow channels and tumbled over rocks before crashing into the Tasman Sea. 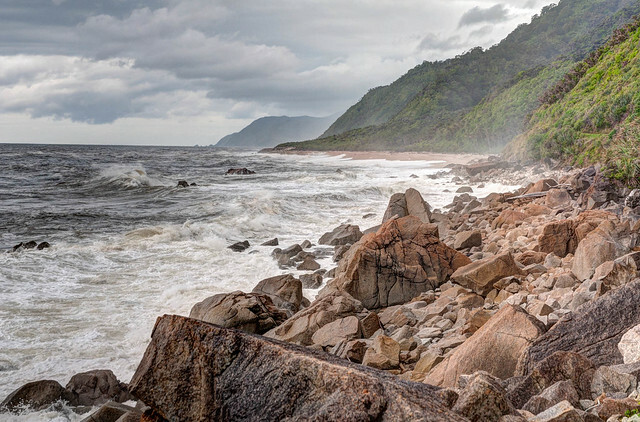 …and along the beautiful rugged coast. 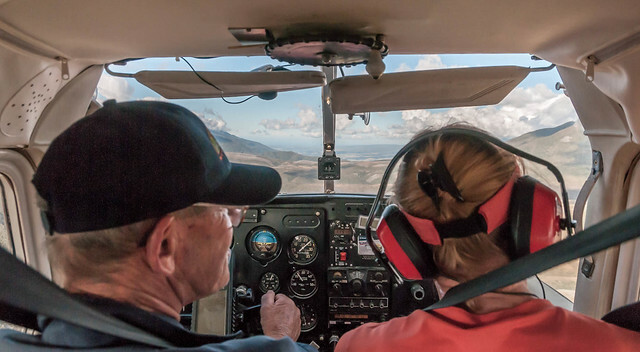 In hindsight it might have been smarter to skip doing this track and just have Jim fly us over the track and back to Karamea. We could have then waited for the rain to stop and day hike up this last portion of the Heaphy Track. Of course if we had done that then I might never have learned to be grateful for water over tracks that is less than chest deep. 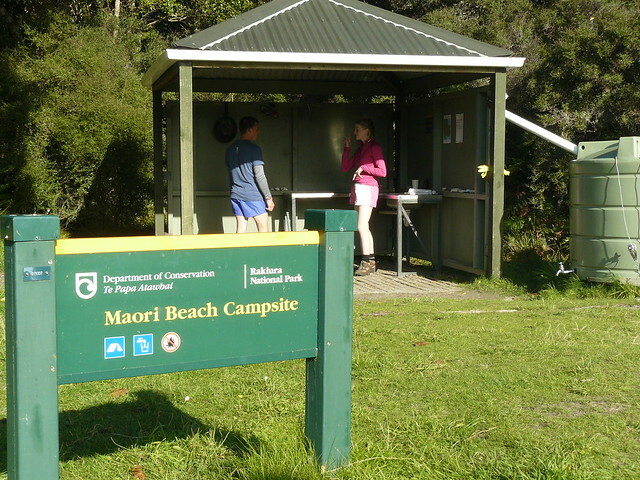 All of our Heaphy Track Photos are on Flickr. Next up was the Routeburn Track. 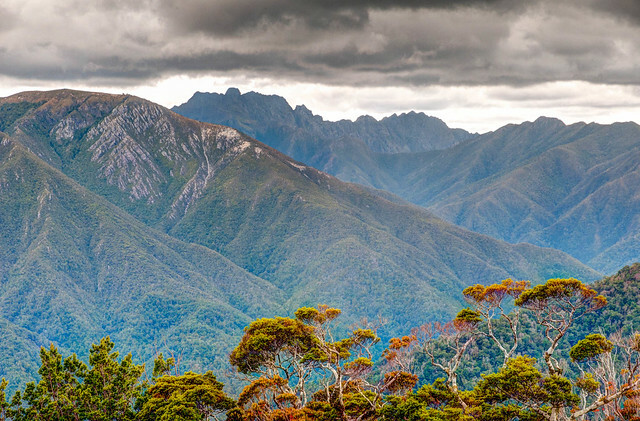 After our wet experience on the Heaphy Track we followed the weather forecast closely as we headed south and were lucky to book the Routeburn Track during an upcoming period of good weather. 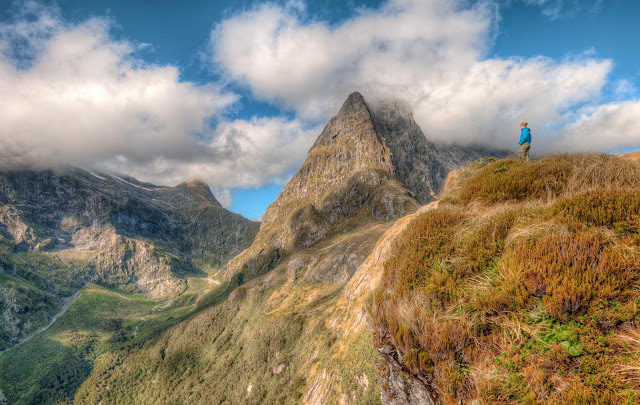 The Routeburn Track, going east to west, starts in Mt Aspiring National Park and crosses into Fiordland National Park. 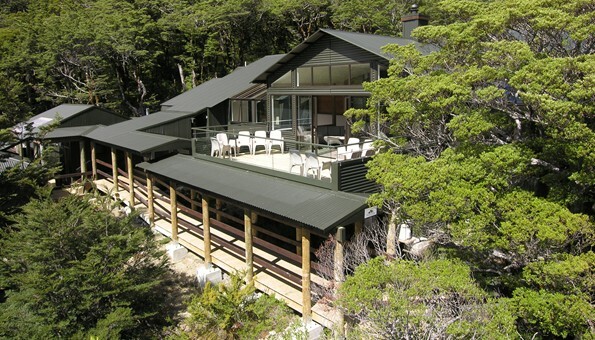 We again decided to use huts as there is no camping at a key location, Routeburn Falls. We chose to not do the long day required to hike from Routeburn Flats over Harris Saddle to the campground at Lake Mackenzie Hut. And, as this track is also not a loop, we had to make some transportation arrangements. This time we had Mike with “Track Hopper” drive our campervan from Routeburn Shelter where we started to other end of the track at the Divide shelter. On the first day of this track we were passed by about 50 young American college students heading in the opposite direction. We had not seen that many Americans since we left LA six weeks before and hearing so many voices with our “flat” American accents sounded foreign to my ears after so many weeks of the more musical Kiwi accent. 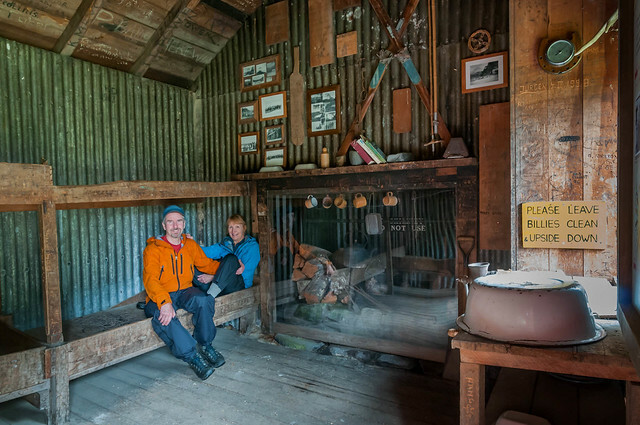 After arriving at the Routeburn Falls Hut (and securing two of the remaining three bottom bunks) we did some exploring in the area, John with camera in hand, as always. The next day we headed toward Harris Saddle, enjoying views of Lake Harris along the way. We stopped briefly at the Harris Saddle Shelter and climbed to the top of nearby Conical Hill for still more great views including bits of Milford Sound and the Tasman Sea in the far ditance. We then descended from the saddle and got our first sight of Lake Mackenzie as well as the Lake Mackenzie Hut, which is barely seen at the far end of the lake, our destination for the day. As we descended further we entered what is aptly called “The Enchanted Forest”. …before leading to the end of the track where we were happy to see our campervan waiting for us in the parking lot at the Divide. 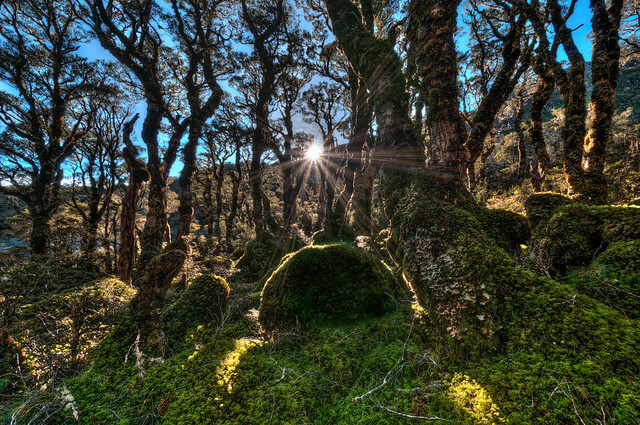 All of our Routeburn Track photos are on Flickr. All of our New Zealand Great Walk photos as well as photos of other New Zealand sights are available on Flickr. At this point we were about halfway through our New Zealand South Island adventure. 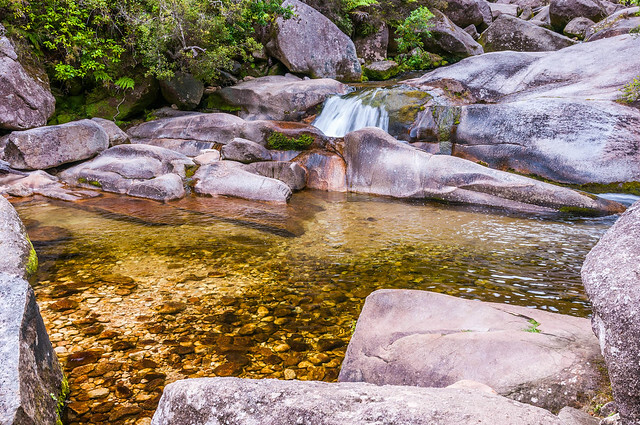 Next up - three more Great Walks; the Kepler, Milford and Rakiura Tracks. We love to backpack; going into the backcountry self contained and self sufficient by carrying a tent, food, stove, water treatment, sleeping bag and enough clothing to protect us from the elements. We love sleeping in our tent. It’s spacious with plenty of room for our great sleeping bags and comfortable mattresses. When we thought about our upcoming trip to New Zealand we really looked forward to doing a lot of backpacking. But “backpacking” has a different definition outside of the US referring instead to international travelers who are carrying all their stuff on their back. 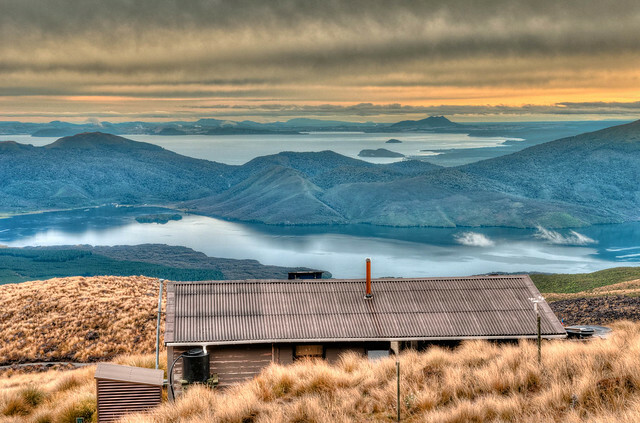 A major difference between New Zealand and the US is the presence of backcountry huts. 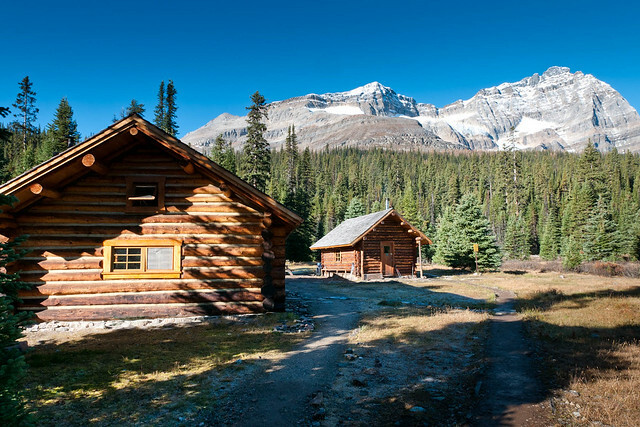 Hiking into the backcountry and staying in huts is called “tramping” and staying in one’s own tent is called “camping”. 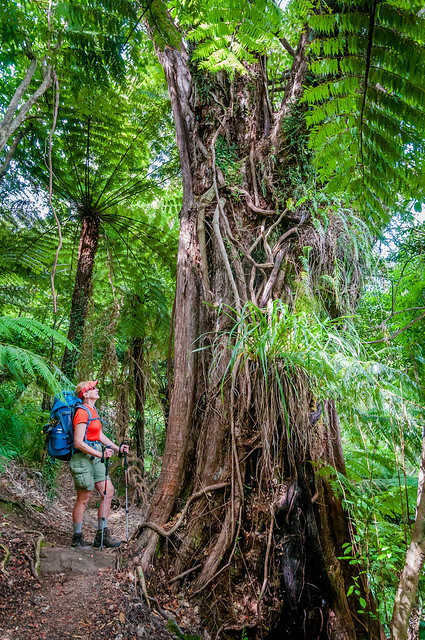 We were overwhelmed by the camping/tramping options on the many tracks in New Zealand so we took the easy way out and decided to focus our attention on the nine tracks that the Department of Conservation (DOC) calls “Great Walks”. 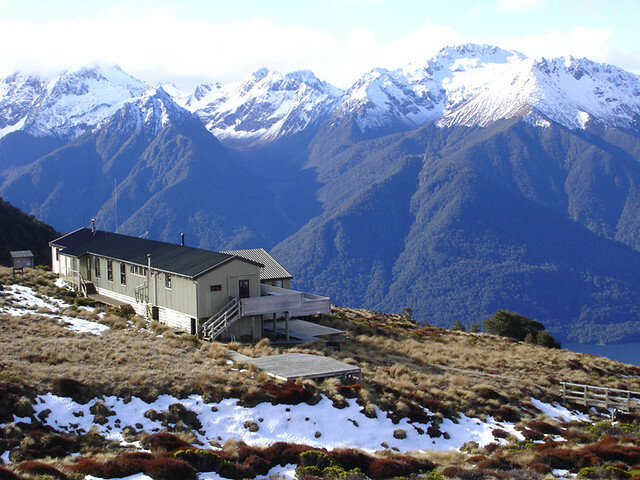 All Great Walks, with the exception of the Milford Track, have campgrounds as well as huts. We have had limited experience with huts; they are almost unheard of in the US, and the experiences that we have had were less than favorable. In Tanzania, while on a trek up Mt Kilimanjaro, we stayed in three different huts along the Marangu Route. The huts were fine. The problem was this one guy in our group, who the rest of us called “Jim, the Grump” (but not to his face). Jim was an extremely restless sleeper and who snored …loudly. It got so bad that our guide felt compelled to arrange for him to have a hut completely to himself. Our next hut experience turned out fine ... once we finally got there. However getting there was a bit of an "adventure". 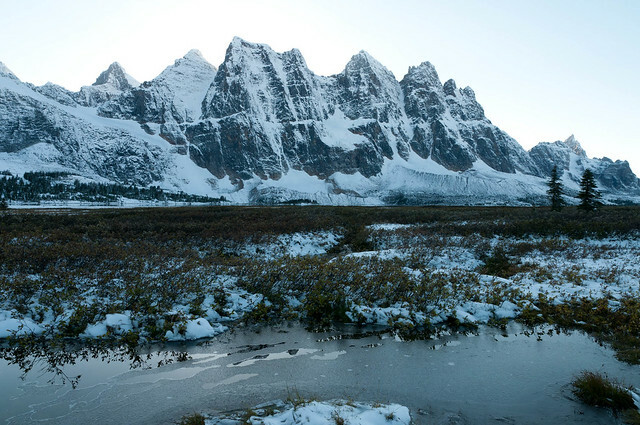 In the fall of 2010 we backpacked to the Tonquin Valley in Jasper National Park, Alberta. 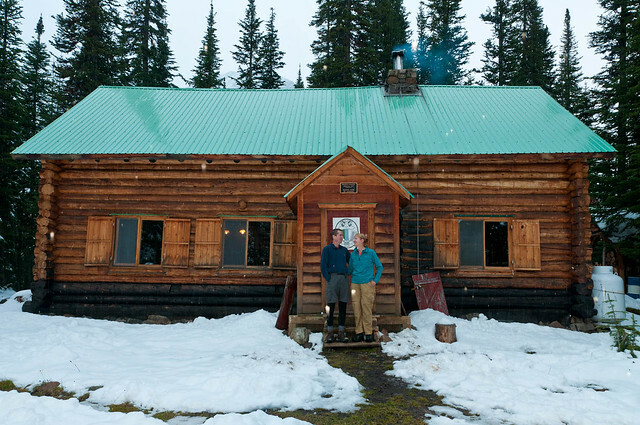 We had reservations to stay two nights in the Wates-Gibson Hut, one of the many huts run by the Alpine Club of Canada (ACC). There were multiple trails to the Tonquin Valley but we took the longer trail as the views would be better. It was late in the season and the trail was in poor condition, with deep mud in numerous places (the trail is heavily used by horses), and the going was slow. Later on we encountered time consuming route finding issues through a deep wet marshland (see above photo). It got to be late in the day and we had not yet found the hut. It was getting colder and beginning to grow dark. The fact that we weren’t carrying a tent or a stove made me feel very insecure and more fearful than I have ever felt while backpacking. We were so thankful when we finally found that hut. After that everything was great. 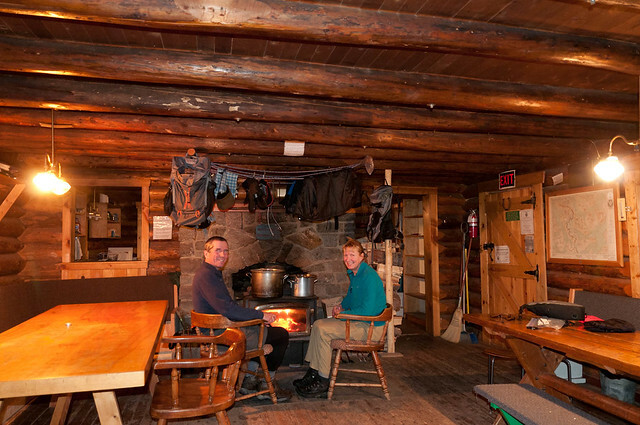 We were greeted by three friendly Germans who had a roaring fire going in the wood stove. We day hiked all the next day and, as the Germans had hiked out that day, we had the hut completely to ourselves the second night. … our hut experience was less than enjoyable. Granted route finding was definitely not an issue as a bus takes you within ¼ mile of the hut. Some people don’t even bother carrying a backpack. I saw one person arrive at the hut with a rolling suitcase. 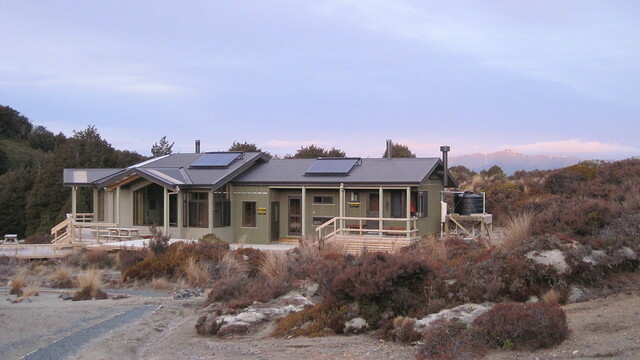 The hut sleeps 16 on two wide platforms, one upper and one lower. The first night I slept on the upper bunk squished between John and grumpy “Bob from Montana”, a big guy and a restless sleeper who snored...loudly. Fortunately on the second night we got to be on the bottom bunk and I was grateful to be squished between John and a nice quiet wall that I knew wouldn’t roll over on me. 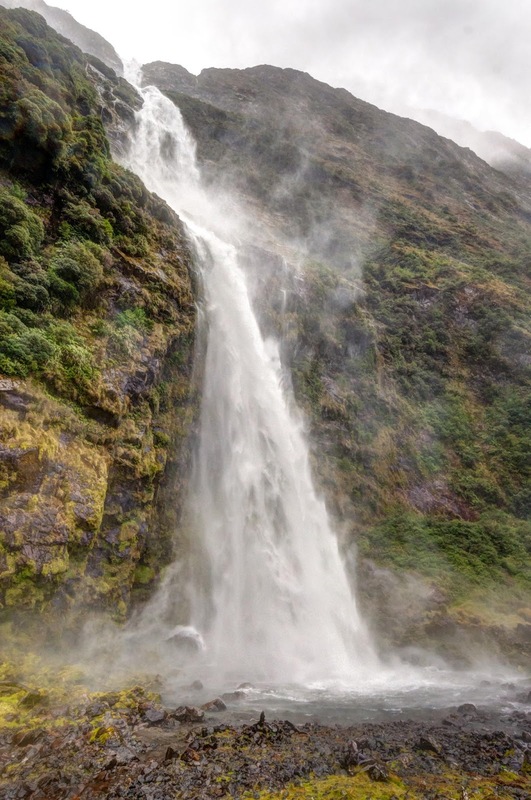 When we started making firm plans for our upcoming trip to New Zealand we felt lucky to be able to book the incredibly popular Milford Track and we accepted the fact that we would be staying in huts. However, we consoled ourselves with the fact that we would sleep in our tent on all of the other Great Walks. And that we did, at least on the Tongariro Northern Circuit and the Abel Tasman Coastal Track. The DOC has provided cooking shelters at most camping areas on the Great Walks for campers to use as a place to get out of the rain. Where camping shelters are not available then campers are permitted to use the huts for cooking, eating, and getting warm. We were disappointed to learn that three of the Great Walks don’t have campgrounds located near every hut. 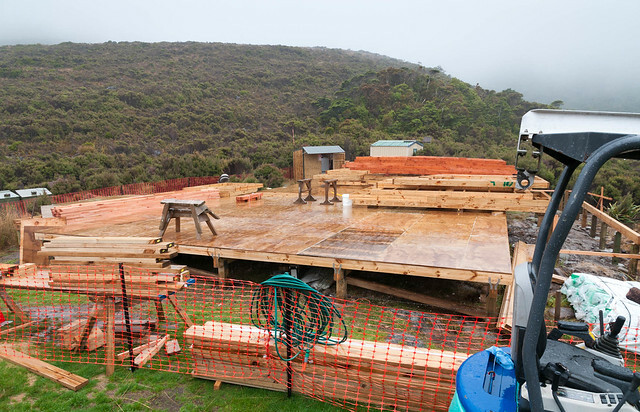 On the Heaphy Track the campground at Perry Saddle was closed as a new hut was being built in its place. On the Routeburn Track there is no campground at Routeburn Falls and on the Kepler Track there is no campground near the Luxmore Hut. This means that on each track there will be one day that is significantly longer for campers than for trampers. 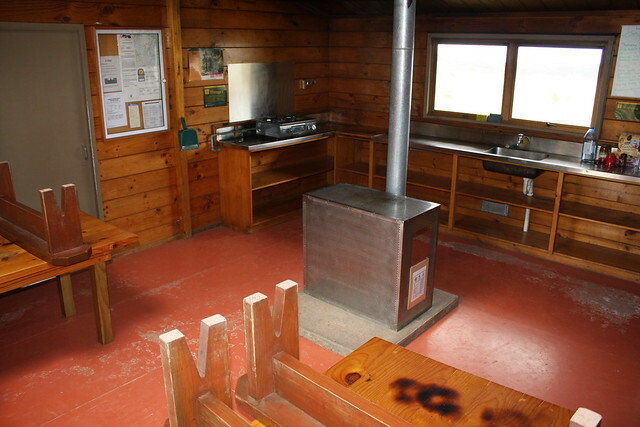 For example, campers doing the Kepler Track start their first day at Brod Bay and face about a ten hour walk to the next campground located near the Iris Burn Hut, covering the same distance that trampers do over two days. 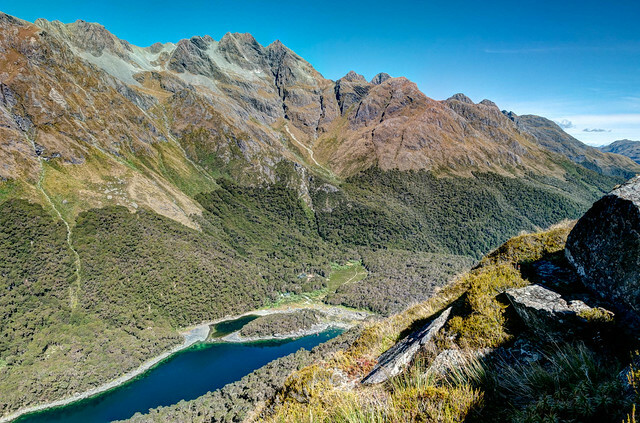 This leaves little time enjoy the views of the Murchison Mountains and Lake Te Anau from the ridge just below Mt Luxmore. When we made our plans to do each of these tracks we realized that one option would be to book only those huts without campgrounds and stay in our tent the other nights on each track. But we got thinking about how much lighter our packs would be without our tent and stove. We began to understand the appeal of huts. One can go without a tent, a sleeping pad, a warmer heavier sleeping bag, a stove and water treatment. Who wouldn’t enjoy hiking while carrying less weight? In addition hikers can have far less concern about wet weather when they are guaranteed a warm dry shelter. Not a trivial issue in New Zealand. 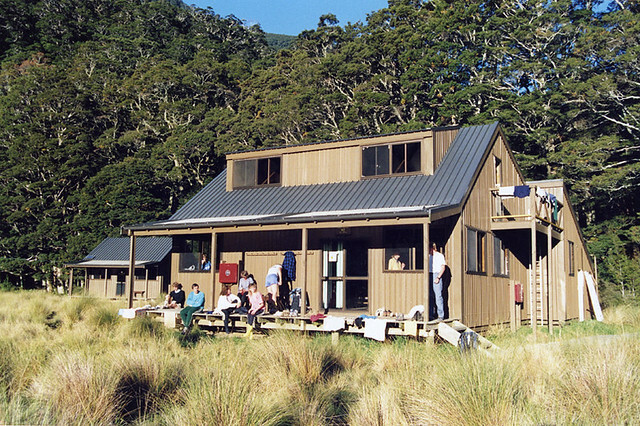 So, we booked huts for every night that we would be on the Heaphy, Routeburn and Kepler Tracks. We accepted the real possibility that we might struggle to get a good night’s sleep and in this we weren’t “disappointed”. Some huts were too warm for our backpacking sleeping bags. While some huts had single bunks others had wide platforms to be shared by multiple people. Whereas most people were quite considerate and adept at doing whatever they needed to do with little fuss, others were disorganized and oblivious to the noise they were making. There was one instance where we were all awakened by a young woman’s apparently terrifying nightmare. And it seemed inevitable that there would be at least one big guy who snored...loudly. But we obviously survived. However I was not prepared for how luxurious the huts can be and how this would affect the behavior of our fellow hikers. 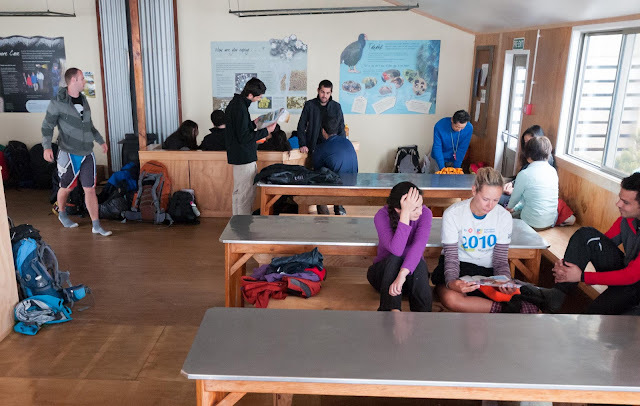 Of course it made sense that during wet weather hikers changed into dry clothes once arriving to the hut. But these weren’t hiking clothes; they were wearing regular clothes, even fashionable clothes. 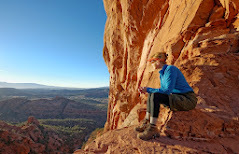 I felt frumpy in my baggy hiking shorts and practical long underwear (and my feet longed to feel those soft, warm fuzzy pink house slippers I saw one young woman's feet). With the availability of propane stoves and cookware I can understand why some people cooked more elaborate meals rather than simply relying on freeze dried dinners as we did. Granted, without a tent and stove they had more space in their packs for carrying bulky fresh ingredients. However, I think the wine that we saw one couple enjoying after their dinner was going a bit too far. Well, at least the wine glasses were plastic. 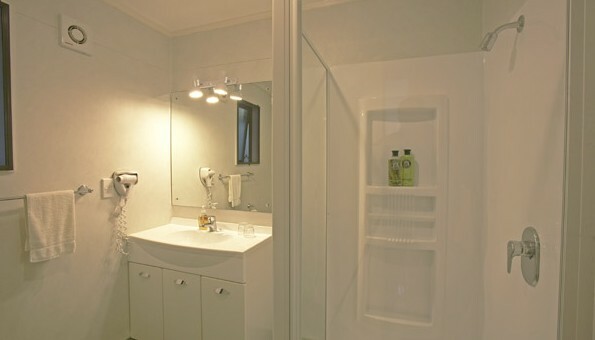 I was initially surprised by the availability of flush toilets at several huts but willingly used them and the sinks with running water were handy. I would have preferred that there weren’t any mirrors mounted above the sinks but I got good at avoiding looking at my own reflection. However it seemed that other women did use them. I observed one young woman washing her hair, on the second night of a three day trip, and several women wearing makeup. 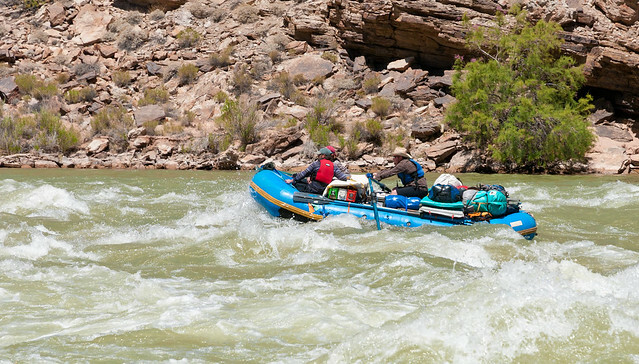 These experiences are what lead me to make my confession; that I am a “Backcountry Snob”. I realized that I have prided myself on my functional (and frumpy) hiking clothes and after a multiday backpacking trip I wear my dirty hair and grubby clothes as a “badge of honor”. It proves that I am capable and durable; that I have “the right stuff”. 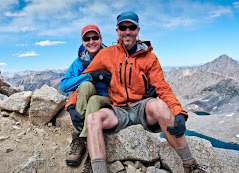 I will admit that I washed my hair twice during the three weeks we spent on the 200 hundred mile long John Muir Trail but wash it on a three day trip? Why bother? Besides, one of the great things about backpacking is the utter bliss of that first hot shower taken at the end of a trip. Another is the return to home cooked food after eating freeze dried dinners and monotonous “trail food”. 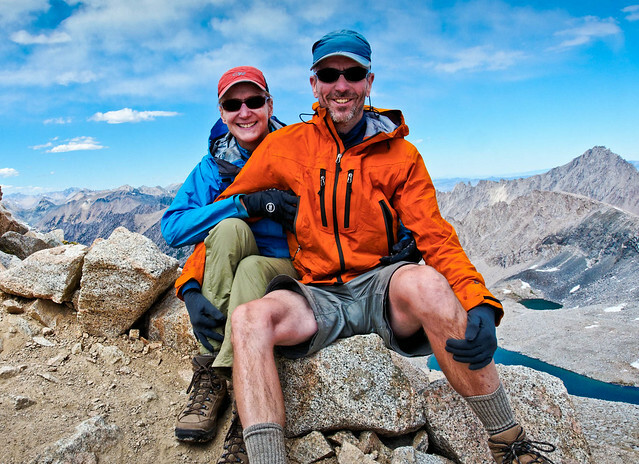 Jean, on the John Muir Trail, “enjoying” her lunch…peanut butter again!?! Yet, here we were, planning to carry our lighter packs and stay in spacious warm dry huts. So I decided I needed to confront my biases about huts, the people who use them and the luxuries they bring with them. When one young woman was kidded by her sister for washing up before going to bed she replied “If I can get clean then why wouldn’t I?” I realized that she’s right, why be dirty if you can get clean so easily. Why shouldn’t people wear comfortable, even fashionable clothes in huts? And why shouldn’t people cook and eat good food, and drink wine if they want to. They are obviously willing to carry it all the way there themselves. So for our next four Great Walks we would not be “Campers”. Instead we joined the ranks and became “Trampers”; hiking during the day and benefiting from the luxuries of the huts at night. And accepting the consequences that come with sleeping in huts with so many other people (including those who snore) is just part of the Great Walk experience. It's right along with the high probability of hiking in the rain and the possibility of hiking through deep water. 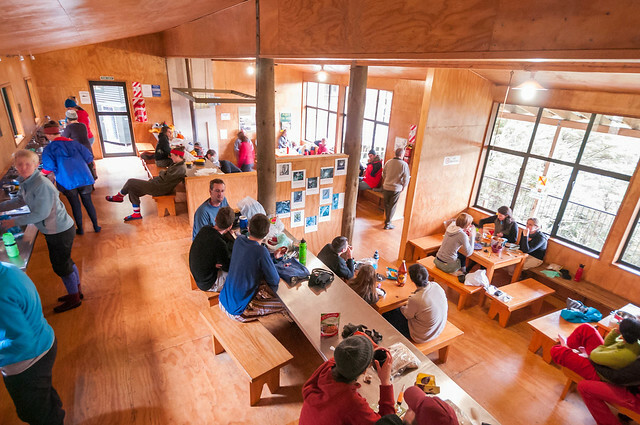 Of course there are fees involved and staying in a DOC hut can’t be called “cheap”; during peak season the fees are between $20.00 - $50.00 per person per night (with the exception of the Milford Track which costs $153.00 for all three nights). 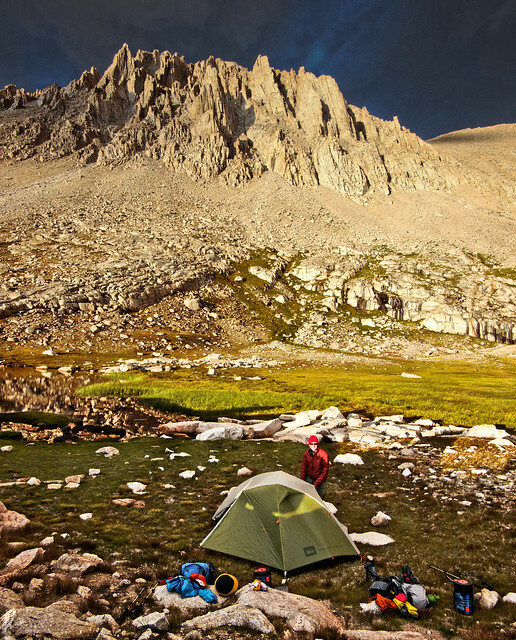 Campgrounds are less expensive but still cost more than the cost of backcountry permits we are accustomed to in the US. However one major difference between New Zealand National Parks and those in the US. 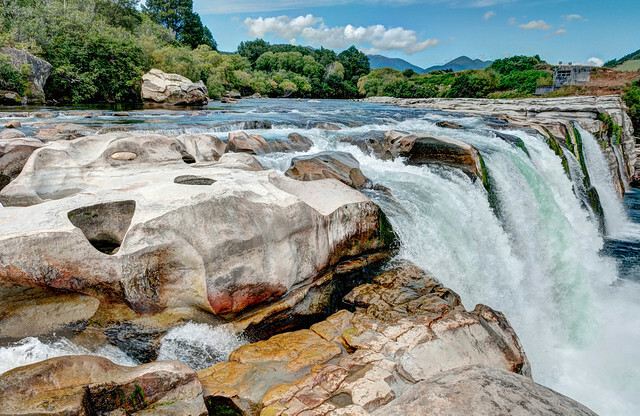 Whereas all visitors to US National Parks must pay an entrance fee those who visit New Zealand National Parks get in for free with full access to any track for day hiking. 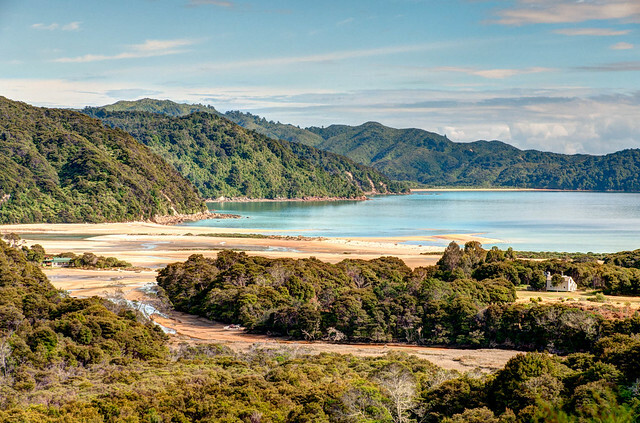 Abel Tasman is particularly popular with day hikers because of ready access by boat to multiple places along the coast. Another major difference is that US National Parks have a long standing tradition of building roads into parks. Often times these roads lead to large parking lots within short walking distances to iconic features. 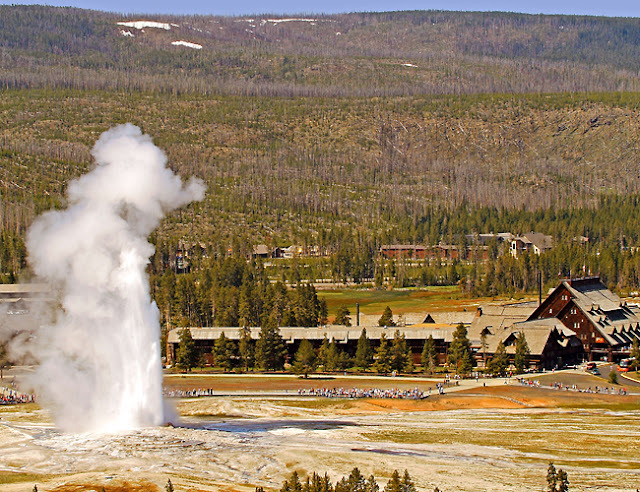 For example in Yellowstone National Park visitors can easily see the world famous geyser "Old Faithful" and have the option to stay in luxurious lodges such as the Old Faithful Inn. 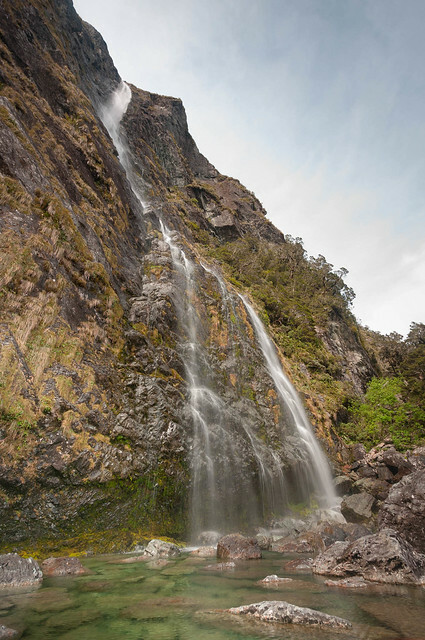 Whereas the only way that visitors to Fiordland National Park can see Sutherland Falls, once thought to be the highest waterfall in the country, is by paying the fees and spending four days walking the entire Milford Track. or by riding in a raft. 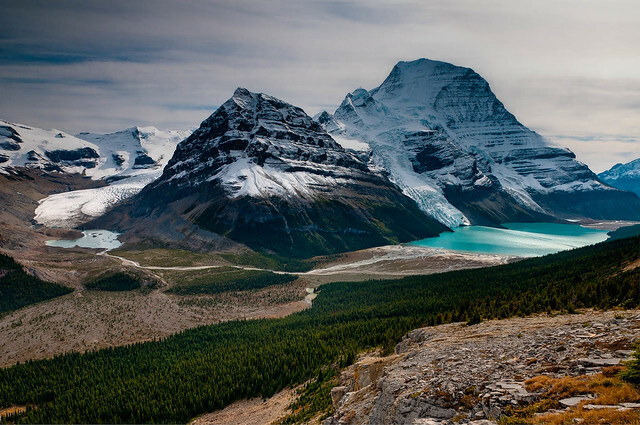 Nor are they like those able bodied people who avoid the 13 mile hike to Berg Lake in Mt Robson Provincial Park in British Columbia by having a helicopter drop them in the meadow adjacent to the lake. Something I had not been aware of is there are options for those who want to do some Great Walks but want, perhaps need, more “creature comforts” on the tracks (and are willing to pay for it). 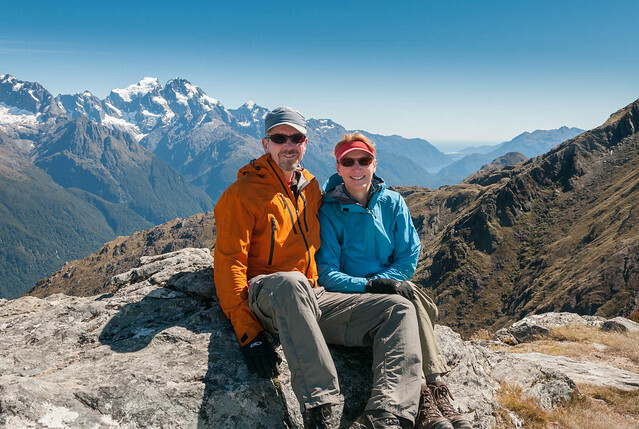 The DOC allows Ultimate Hikes New Zealand to operate private guided services on the Routeburn and Milford Tracks. 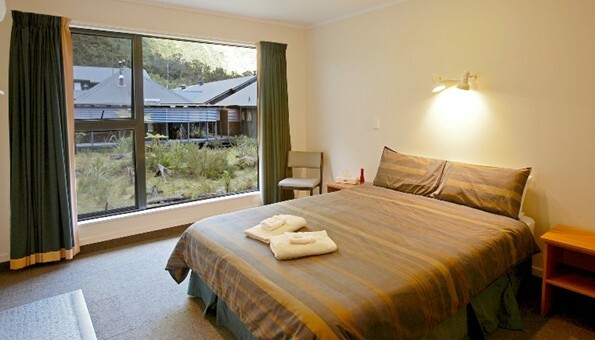 The lodges along the Routeburn Track and Milford Track all offer hot showers, three course meals and comfortable beds. People who choose to do this “Glamor Tramping" are affectionately known as “Glampers” whereas those of us who tramp independently sometimes refer to themselves as the “Misguided Trampers”. But we were not so different from these Glampers. Even though they stay in luxurious accommodations and carry much smaller packs (not to mention have attractive young and enthusiastic Guides to encourage them) they still hike just as far and over the same terrain as we “Misguided Trampers” do. 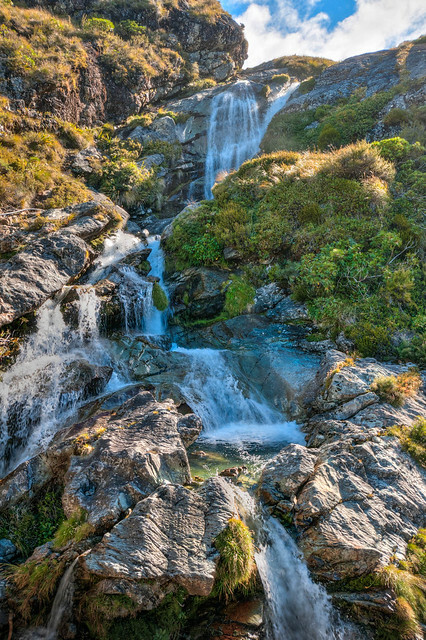 They still have to cross Harris Saddle on the Routeburn Track and Mackinnon Pass on the Milford. We had the opportunity to meet and talk to some of these “Glampers”. Whereas we didn’t find any of the Great Walks to be difficult for some individuals these tracks were a great challenge for them. Many of them were older and obviously less fit than we are and we admired their tenacity, their willingness to try. 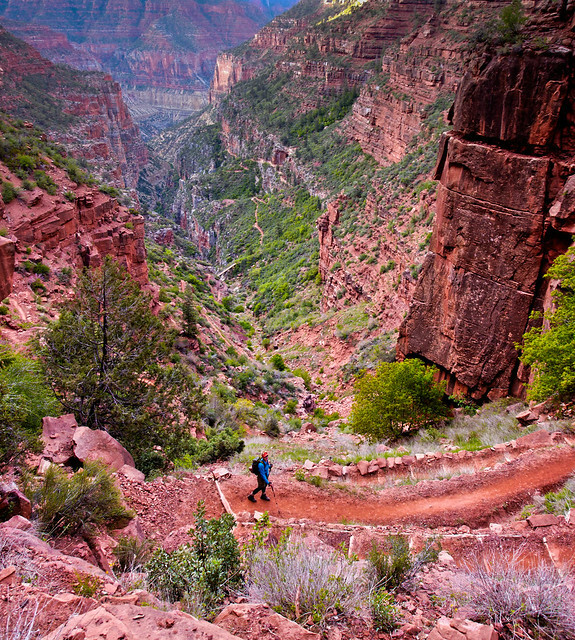 Obviously the services provided by Ultimate Hikes made the difference that enabled them to do these iconic Great Walks. 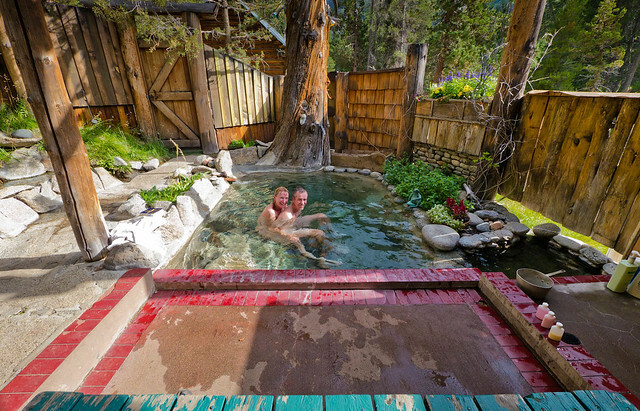 …but I really, really enjoyed the private hot spring! 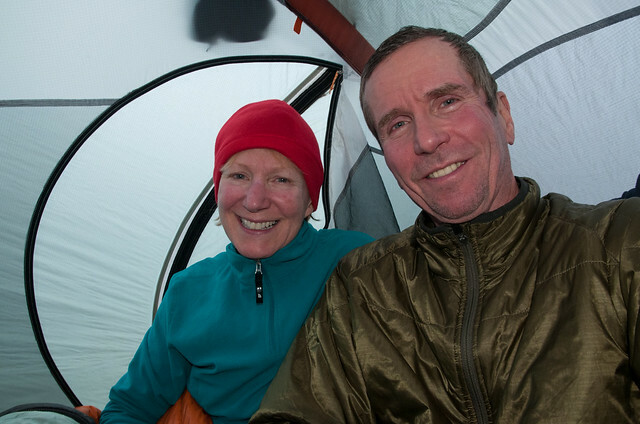 However, despite our new found acceptance of backcountry huts John and I still prefer to sleep in our tent even in places where huts are available. 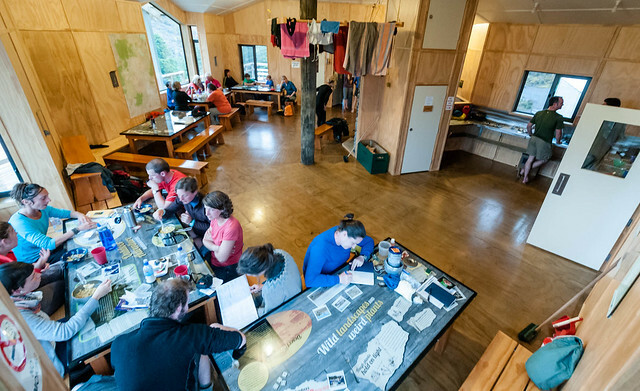 Therefore we happily packed our tent and stove when preparing to begin the Rakiura Track on Stewart Island. On our last night we thoroughly enjoyed camping in the North Arm campground, especially as we had it all to ourselves, a fitting end for our seventh and last Great Walk in New Zealand. That is not to say we will never stay in a hut, we aren’t getting any younger and there will undoubtedly come a day when the only way we can hike is by carrying less weight. However I seriously doubt we will go so far as become “Glampers”, we don’t need that much luxury or the expense. 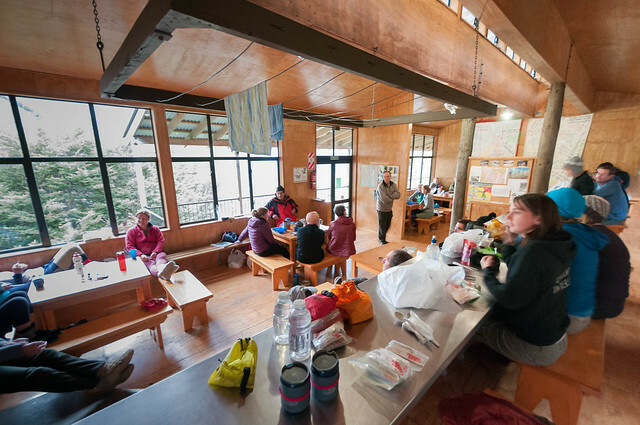 Although, I do have to admit that when we were staying in the Dumpling Hut on our last night on the Milford Track; while I lay awake listening to the fellow in a bunk near me snoring (…loudly) and when I got up in the middle of the night and had to go outside to use the toilet, I fantasized about those quiet private bedrooms and bathrooms at the Quinton Lodge some Glampers had described to me. Well maybe…if I’m lucky…by the next time we do sleep in a hut it will be after I have become so hard of hearing that I can simply remove my hearing aids and go blissfully to sleep.